Teach Intervals Course - How to understand and write intervals - easy! A $200 Value for ONLY $49! The Teach Intervals Course is especially designed to give you the teaching techniques for “What, Where and Why Intervals” questions. The Teach Intervals Course includes 6 video sessions: two for each level of Basic, Intermediate and Advanced Rudiments, plus all your downloadable worksheets with examples and exercises. 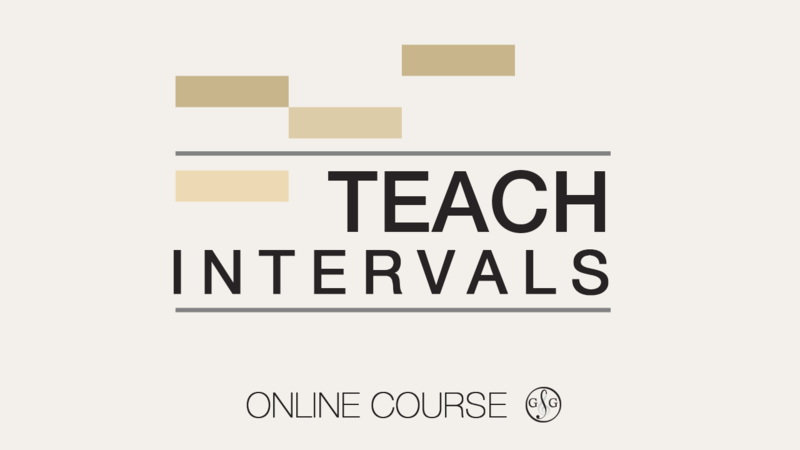 Your Professional Development and Teaching Success continues with the Teach Intervals Course - Only $49.